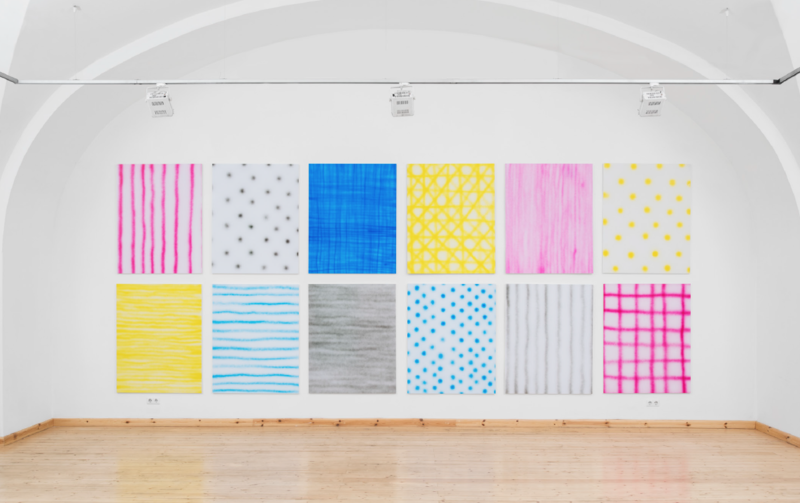 Trial and Error is the first solo exhibition by the London-based artist Reinis Lismanis, on view at ARSENĀLS Exhibition Hall of the Latvian National Museum of Art in Riga until 21 January 2018. Comprising mediums of photography, printmaking, video, installation in a variety of approaches the exhibition focuses on specific elements that form the larger systems at play. Lismanis’s works reflect on the ‘behind the scenes’, the pre-determined modes of action, a sort of enframing (Gestell), to borrow from a Heideggerian perspective on technology. To an extent, the works mediate the relationship between the author and the established structures of photography, video, installation, and artistic production. The show is curated by Josef Konczak, photographer, Curator, Specialist Technician at Camberwell College of Art, University of the Arts London and Līna Birzaka-Priekule, Exhibition Curator, Head of the Creative Studio at the ARSENĀLS Exhibition Hall, Latvian National Museum of Art. Reinis Lismanis (1992, Jūrmala) is an artist currently living and working in London, UK. Lismanis graduated from University of Brighton in 2014 receiving the Tom Buckeridge Photography Award. Since 2012 his work has been exhibited in group shows in China, Hungary, Italy, Latvia, Slovenia, Switzerland, and the UK. Reinis Lismanis has been a selected participant of Plat(t)form 2016 at Fotomuseum Winterthur (Switzerland) and Full Contact 2014 at SCAN Tarragona International Festival of Photography (Spain). Author’s works have been published in Aesthetica Magazine, Source Photographic Review, Laboratori (Ca l’Isidret Edicions), Latvian Photography 2015 (FK Magazine), and The Telegraph. Lismanis’ project Sharp Edges was nominated twice for Photo London and Magnum Photos Graduate Photographers Award.